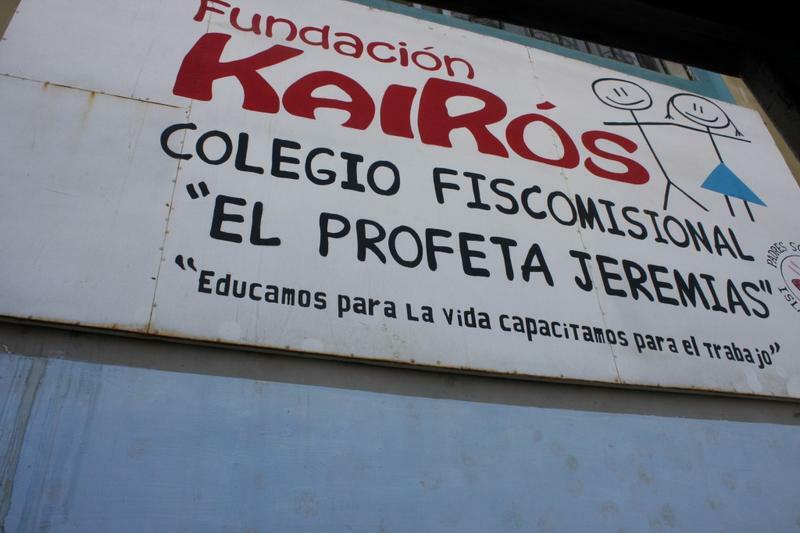 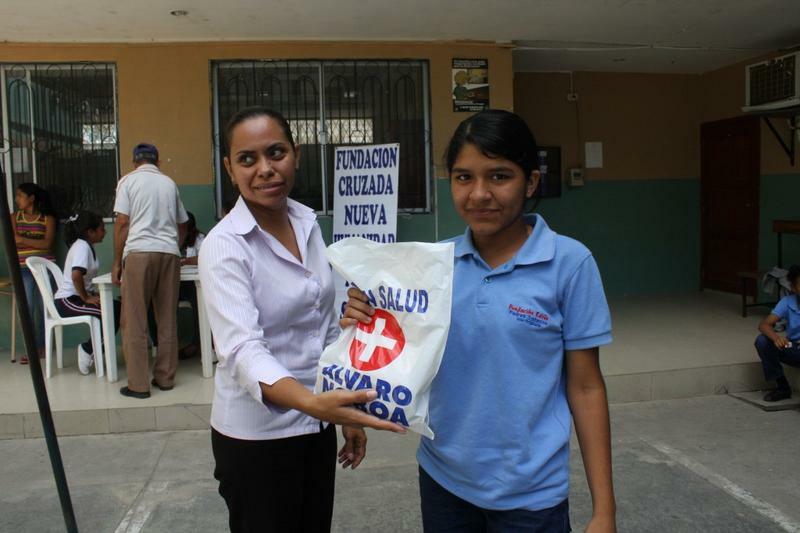 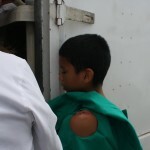 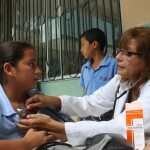 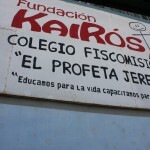 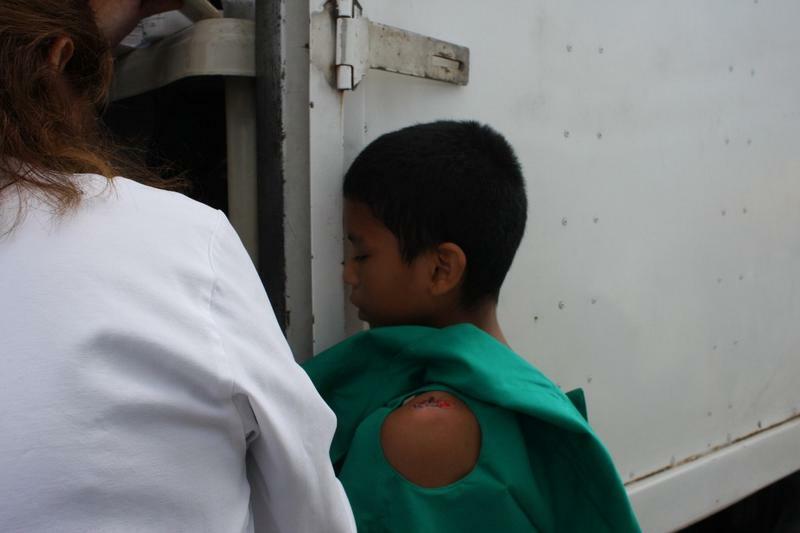 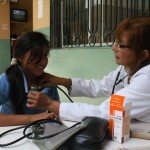 Keeping up with its laudable work, today, the Foundation Cruzada Nueva Humanidad (FCNH), founded and presided by attorney Alvaro Noboa, in coordination with the Kairos Foundation, provided medical care to the young students of the Profeta Jeremias school, located in the Cooperative 4 de Marzo in the Trinitaria Island. 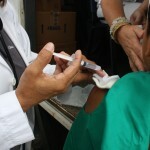 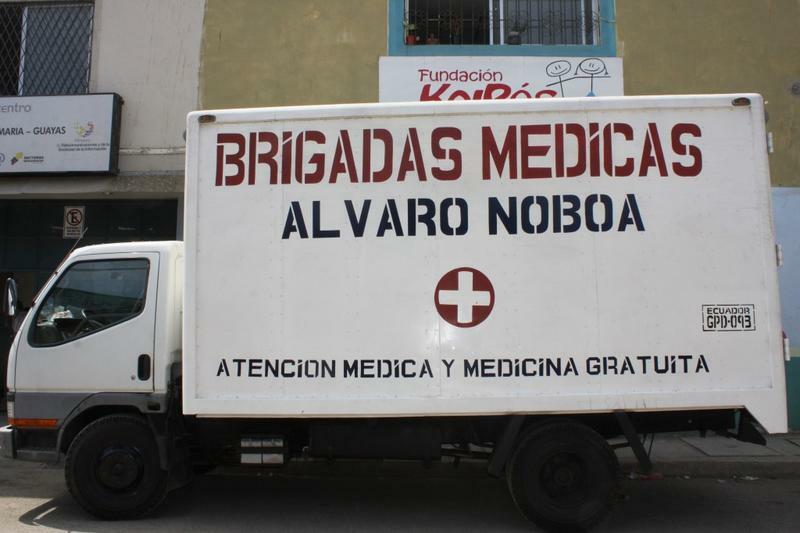 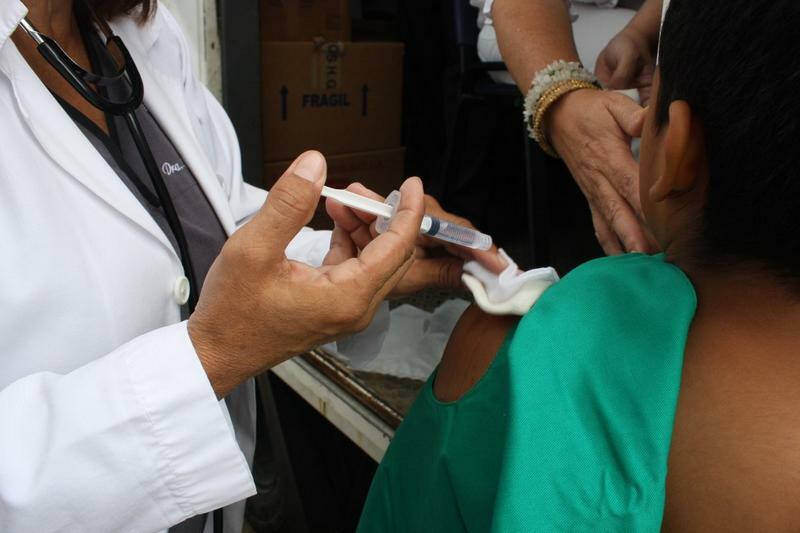 The mobile medical brigades arrived to the sector at nine in the morning to provide attention to 120 students of the school and also to some adults that approached the brigades to take care of their children. 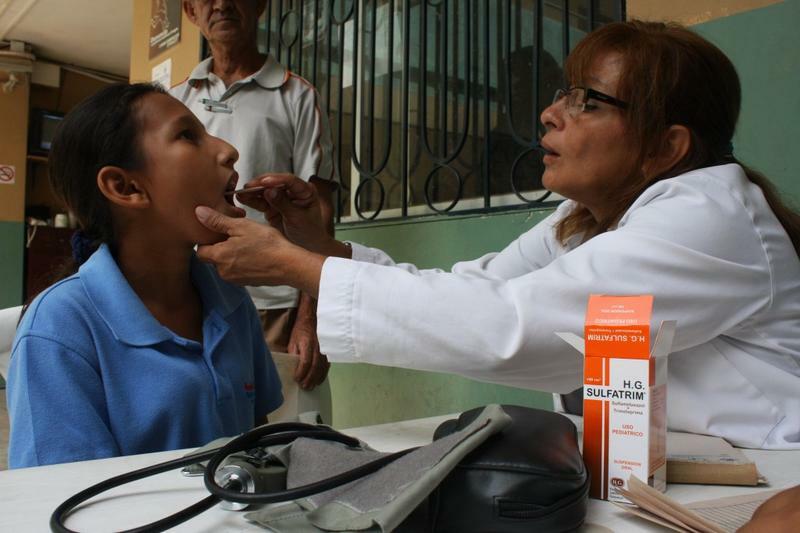 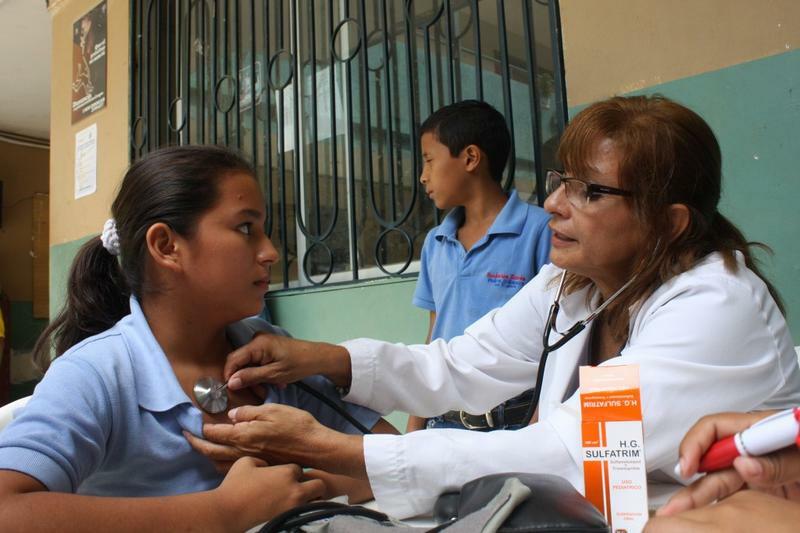 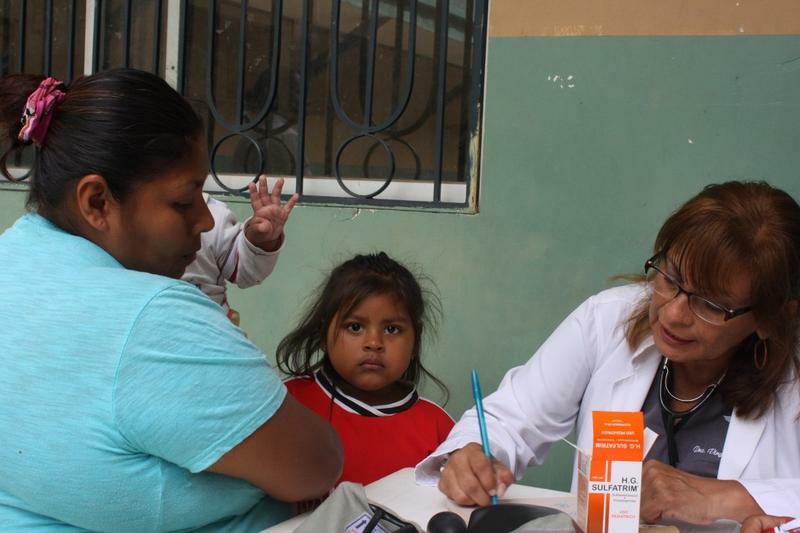 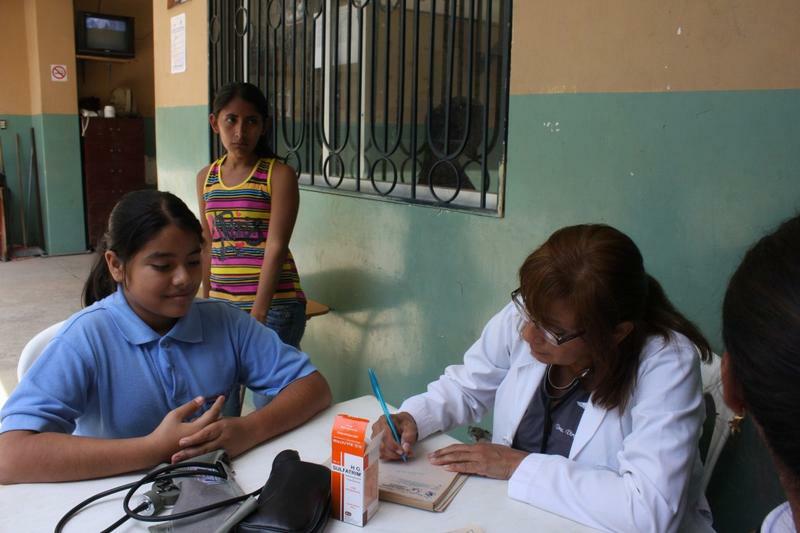 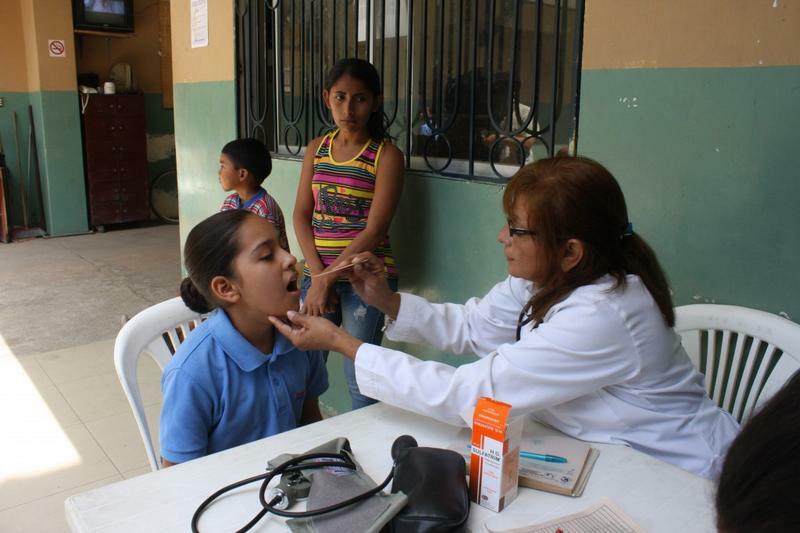 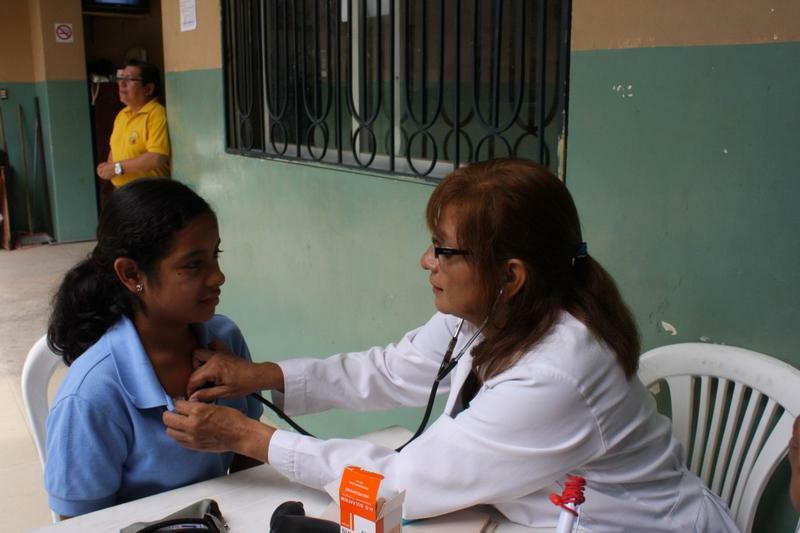 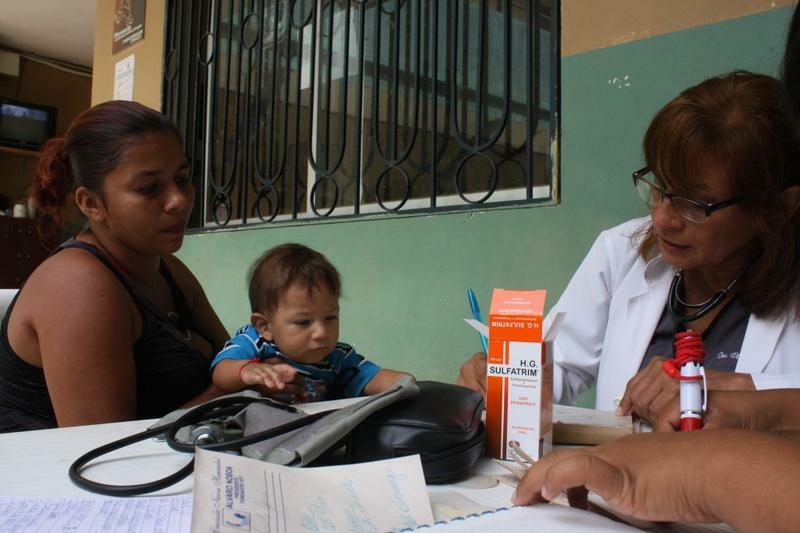 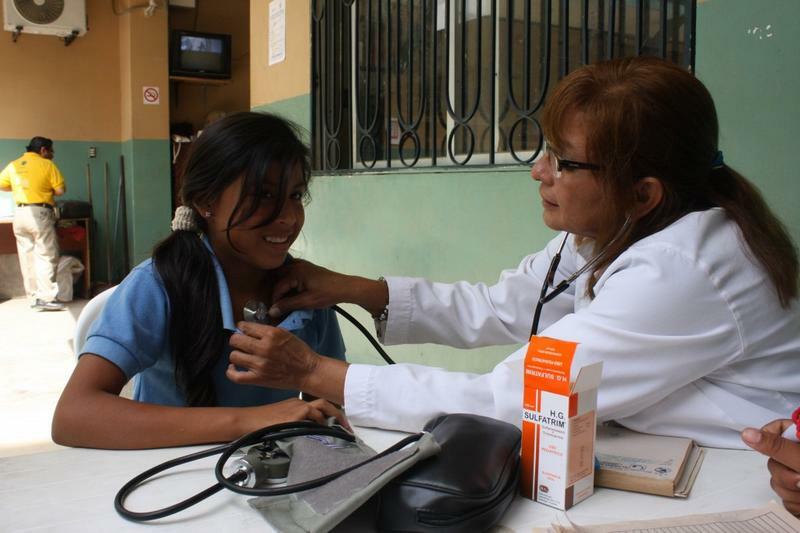 Doctor Virginia Clavijo was in charge of diagnosing each patient and to prescribe the respective medicines for the treatment of the illness. 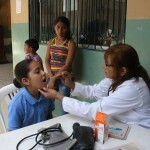 The doctor said that among the cases, the most common are still the bronchial conditions, pharyngitis, tonsillitis, common colds and parasite infections. 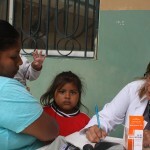 Glenda Rosario, 35 years old, went to the school to take advantage of the help and check her two little daughters, 3 year-old Evelyn de 3 and 8 month-old Karla, who presented symptoms of a severe cold. 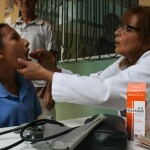 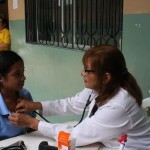 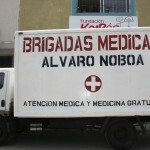 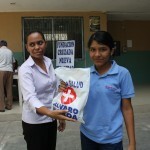 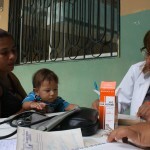 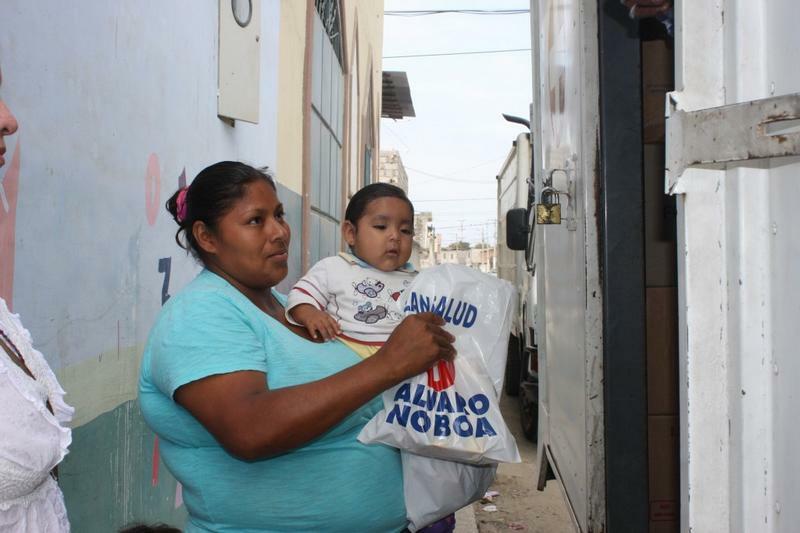 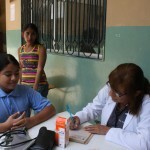 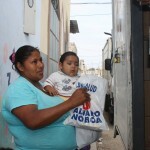 This mother thanked, heartily, to attorney Alvaro Noboa for the help provided regarding health care and free medicines.